At the beginning, my husband, Ned, and his business partner, Sam, had two numbers in mind. The pie-in-the-sky goal was for the company to provide 100 million people with solar-powered products. But if they could positively affect even 10,000 lives, it would still be worth all the risk. This is what they told themselves as they struggled to raise seed funding. Silicon Valley investors were skittish about a company that weighed social benefit as much as profit, especially when that profit was dependent upon extremely low-income households in developing countries. But the market size was extremely compelling: more than a billion people in the world have no access to any electricity, and another billion have access to only intermittent electricity. There was a virtually endless supply of potential customers who needed solar-powered solutions. A few investors decided to take a chance on the tiny startup called “d.light.” But neither they, nor Ned and Sam, had any idea how far this idea could go. Before the initial funding arrived in the bank, though, there was one person. Ned and Sam had met My Ya on a research trip to Myanmar in December 2006. She was a brick maker and the sole provider for her six children. In a country in which only 30 percent of households are connected to the grid, and kerosene is banned, she had to burn diesel or candles for light. Ned and Sam lent her a very early-stage prototype of a light, no more than a string of LEDs attached to a small solar panel and lead-acid battery. Silicon Valley investors were skittish about a company that weighed social benefit as much as profit. Four days later, they returned to find a thrilled My Ya. She wept as she told them how she was experiencing brighter light and cleaner air than she ever had before. Her children had stopped coughing, and their eyes were no longer burning. In only a few days, her income had increased because she could work more efficiently and did not have to buy diesel or candles. She wanted to purchase the prototype, no matter how much it cost. At that moment, the two business school students realized they had hit upon an idea with legs. Even more significantly, they had seen firsthand how life-changing light could transform one family. More than a decade later, My Ya’s face and story continue to follow the d.light team. As the company’s first customer, she is precious to us. But, even more importantly, she is a daughter of the King, who can now live with greater dignity and opportunity. As the company’s first customer, she is precious to us. But, even more importantly, she is a daughter of the King, who can now live with greater dignity and opportunity. We’ve all heard the statistics: nine out of 10 startups fail. The entrepreneur who is fortunate enough to found a successful company has already endured an average of 3.8 failures. Perhaps less known are the numbers that capture the challenges of the startup journey: It normally takes six to seven years for a new business to become an established firm. The typical business owner earns 35 percent less over 10 years than he or she would have earned working for someone else. In a recent study, 30 percent of entrepreneurs self-reported that they struggle with depression, compared to only 7.5 percent of the general population. Burnout, anxiety, substance abuse, divorce, and infidelity all occur at higher rates among ambitious innovators than those who follow a more conventional career path. For many entrepreneurs, the possibility of startup glory – a huge payout, an early retirement, fame, acclaim, and the chance to transform how societies function – is worth the risk and the toil. And what if those momentous outcomes never come to fruition? Perhaps the product doesn’t gain traction, the business model doesn’t work, or the expected market doesn’t pan out. By worldly standards, these founders might then be considered has-beens at best, failures at worst, destined for no greater recognition than a business school case study. If a shepherd has a hundred sheep, and one of them has gone astray, does he not leave the ninety-nine on the mountains and go in search of the one that went astray? And if he finds it, truly I tell you, he rejoices over it more than over the ninety-nine that never went astray. In God’s economy, one individual is priceless. He or she is worth pursuing – regardless of the risk, the sacrifice, or the toil. In Mark 5, Jesus himself demonstrates this. He sails across the Sea of Galilee with his disciples, calming a dangerous storm along the way, and ends up in the country of the Gerasenes. There, he encounters a man possessed by many evil spirits. Jesus heals him and sends the spirits into a large herd of swine, who then rush into the sea and drown. When the villagers learn what happened, they fearfully ask Jesus to leave. He immediately turns around and returns the way he came, back across the sea. We do not know how, or if, the larger Gerasene community was transformed by Jesus’ visit. All we know is that he traveled round-trip across the lake, risking the lives of his disciples along the way, and ended up serving one individual. Not a particularly impressive metric by human standards. But when we consider that each life is infinitely treasured by God, his actions make perfect sense. This story comes to us by way of The Praxis Journal. In God’s economy, one individual is priceless. She is worth pursuing — regardless of the risk, the sacrifice, or the toil. The story of My Ya and the aim of serving a mere 10,000 customers were what Ned used to convince me to join the company and move to China with him in 2008. We left behind family, friends, financial security, and the only home we had ever known because we believed God was telling us that the possibility of serving 10,000 people was worth it. But we had no guarantees that we would ever reach that number. God does not ask for big outcomes from us on the entrepreneurial journey. The reality is that most of us wouldn’t be able to produce those big outcomes even if he required it of us. Instead, God asks for faithfulness, to put in the work and entrust the outcomes to him. If we truly believe this, then there is no fear in business failure, because there is no such failure in God’s eyes. He can take our smallest, most meager offerings, and turn them into something greater than we could imagine. If your service provides hope, opportunity, or dignity to a few families; if your product enables greater efficiencies that save valuable resources; if your creation brings a bit of additional beauty into this world – God still recognizes your efforts and multiplies them. If the work of d.light had ended with My Ya, the angels in heaven would still have rejoiced. They see what we cannot yet see: the eternal impact of our labor on the life and soul of a single person. The Gerasene man that Jesus heals is desperate to leave and follow him. But Jesus has another task for him. “Go home to your friends,” Jesus says, “and tell them how much the Lord has done for you, and what mercy he has shown you.” According to Scripture, the man then “began to proclaim in the Decapolis how much Jesus had done for him; and everyone was amazed” (Mark 5:18–19, NRSV). It is possible that the majority of that entire region came to know Christ because of that one man. We don’t know for sure — and neither, in all likelihood, did the man, who probably died without seeing how far his testimony had reached. God asks for faithfulness, to put in the work and entrust the outcomes to him. With our limited perspective, we can only step out in faithfulness, into the uncertain and unknown, believing that the impact of our work will extend deeper and broader than we can ever see on this side of eternity. And we step out in faith, for the hardships of the entrepreneurial path are often far more tangible than the triumphs. Entrepreneurs create the new and undo the old. They rebuild. They reform. They re-envision. They revolutionize. The forces of inertia alone are difficult enough to overcome. But we also do battle against forces that resist the transformational power of God’s love and saving grace – even within our own hearts. The pursuit of entrepreneurial goals, while glamorous and thrilling on the face of it, often leads to the way of the cross. There are the intense pressures that inevitably result from a high-stakes vocation. But there are also the many desires and comforts that may need to be laid down on the journey, whether they be financial security, recognition and acclaim, an assured future, or even personal health and time with loved ones. As I’ve walked alongside Ned in the scaling up of d.light, both as his spouse and one of the company’s earliest employees, this business has felt as much like a burden as a calling. We walked away from higher paying, lower risk jobs. We have spent five of the last 10 years living abroad in developing countries. We delayed having children not once, but twice. The intensity of the experience has compromised our mental and physical health on an ongoing basis. As high-performing individuals, Ned and I have also had to lay down our pride. Our startup journey has brought me to my knees in prayer more times than I can count. I have said, “I don’t know what to do” and “This is more than I can handle” to God over and over again. And he has heard my cries. When we step into places that are bigger than we can manage and beyond what we can do, our egos inevitably shrink. This creates space for God to show up and work in remarkable ways. Ned and I have seen deals miraculously come through, problematic shipments stop, funding materialize, hearts change. Even our colleagues who do not ascribe to any faith wonder at the peculiar favor that the business seems to experience in moments of crisis. 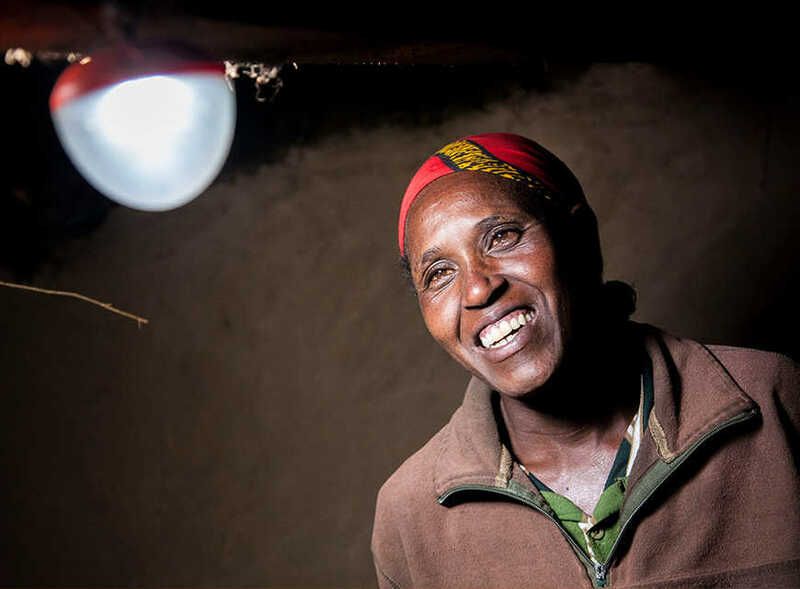 Today, 91 million individuals now have access to solar-powered light through the work of d.light. These miracles are on top of the extraordinary blessing of nearly reaching that pie-in-the-sky goal. Today, 91 million individuals now have access to solar-powered light, mobile phone charging, and radios and televisions through the work of d.light. But God has made it clear that he is the one who made all this possible. We are his very imperfect and limited deputies, tasked with partnering with him on a kingdom mission of divine proportions. What we do through our business – how we conduct ourselves, how we treat others, how we try to improve the state of the world – has eternal implications. And yet, this mission is just as much about one individual life. My Ya’s, certainly, but also mine. Oftentimes, the heart that God seeks to change is our own. Now, almost 12 years in, the personal costs of bringing solar power to families across the globe haven’t diminished. Our family recently moved abroad for the third time, uprooting our six year old from his school and community and risking exposure to dangerous mosquito-borne illnesses – like malaria and yellow fever – for him and our one year old. Now, the sacrifices required to build this business are also coming from our children, which pains and frightens me far more than any of my own sacrifices. I sometimes long for a path of certainty and security, or for this chapter of our lives to close sooner rather than later. Ned and I would probably be healthier and have significantly more financial assets. Our children would be relatively safer and more comfortable. But, having been pushed far beyond what was easy or secure, our family has also become less attached to our material possessions, less fearful of what is outside our known experience, less myopic in our vision of what is possible. We have had the great privilege of witnessing the power and majesty and glory of God beyond what we could have imagined. Perhaps your business will be a smashing success, leading to financial wealth, acclaim, and global transformation; perhaps it won’t reach beyond your family or your close circle of friends. Either way, God can bring about his purposes in the world through your work. But what our Heavenly Father cares about even more is the state of our souls, the depth of our relationship with him and with others, and the faithfulness with which we serve him and others. The one individual that God wants to save through your entrepreneurial pursuits may be you, or it may be me, or it may be a Burmese woman named My Ya. And, in the kingdom of God, any of these would be considered a beautiful outcome. 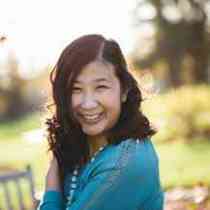 Dorcas Cheng-Tozun is an award-winning writer, a columnist for Inc.com, and the author of Start, Love, Repeat: How to Stay in Love with Your Entrepreneur in a Crazy Start-up World. She lives in Nairobi, Kenya, and can be found on Twitter and Instagram @dorcas_ct.